I'm so excited to have my first guest designer opportunity! Thank you Candace & Michelle for allowing me to showcase your products! I created these super fun Cookie Tags using the awesome Jaded Blossom Luggage Tag die and the 100% Handmade stamp set! I think my favorite part of the die is the hole reinforcement. 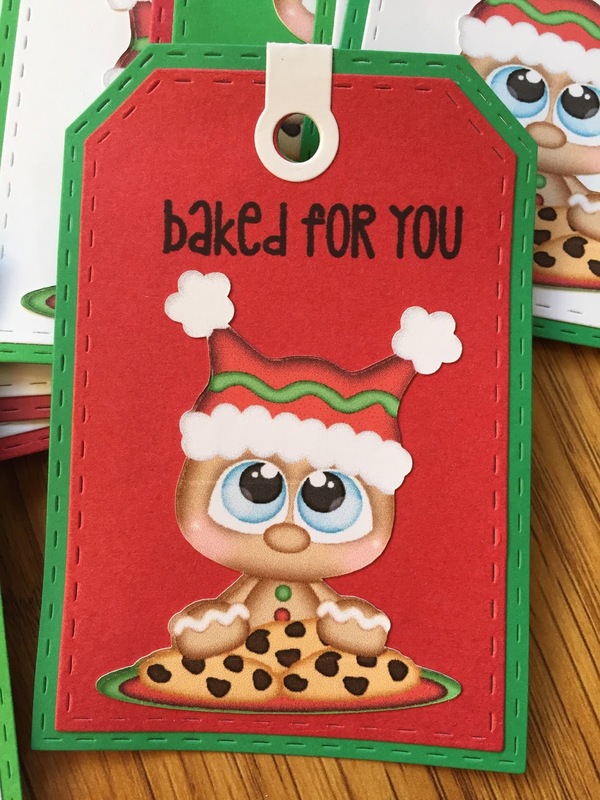 I used my Cricut Explore's print & cut feature to cut out the cute image from Kadoodle Bug Designs (Ginger Cookies). Making 30 tags there was no way I had the patience to paper piece all the Ginger Cookies together!! Thanks for stopping by! Now off to bake some cookies and put these cute tags to good use!! These are so stinkin cute! Love them! This is Too darn cute!!! Congrats on your GD spot! These tags are totes adorbs Kristin! Your cookie tags are adorable!!! Love them:) congrats on your GD spot!! Love love love! wonderful job! Awwwww, what super cute and fun gift tags! So much fun! Love the tags!